Here I am going to showcase some of the collectible items from the RGS. This is something not offered anywhere else unfortunately. For you own curiosity, I have given suggested values to each item that I feel are appropriate based on my own research. Remember these are suggested prices and to be used solely as a guide. Anything with a "(Retail Value)" making denotes an item which is currently still being produced and the retail value it is being sold at. Many RGS items are sold pre-autographed from the seller (ie one of the autographed RGS pictures). For any items which are not sold pre-autographed (ie a personalized/autographed prop from the set) please add anywhere from $5-$25 depending on the item. Ordering - Since the RGS started airing and selling merchandise, ordering has gone through many stages. With RGS being one of the early adapters to the net, they have gotten great use of ordering online. 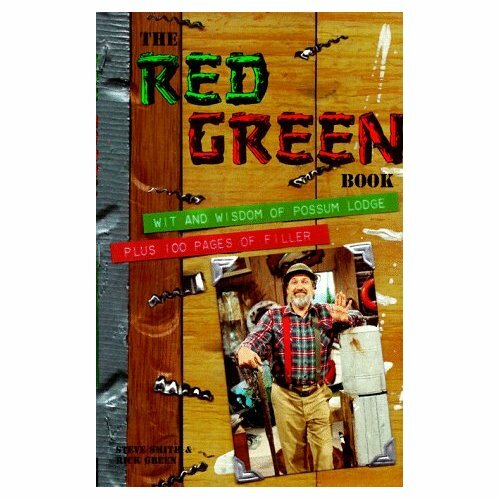 The original internet page was titled "The Red Green Outfitters Catalogue ON-LINE!" and showed you pictures and a price guide for all of the merchandise. Included with each one in the list was a code that you could call a 1-800 number with to place an order. Over time they started directly selling via an online order form attached to the website. 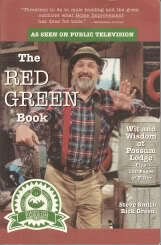 On September 2014, they adapted the main Red Green Show Facebook page in order to allow you an easy side bar panel for ordering without having to go to the Red Green Shop or directly to the Red Green Show website..
Possum Lodge Newsletters - Possum Lodge newsletters started back in 1991 with the introduction of lodge memberships after receiving several letters from fans inquiring on how to join Possum Lodge. When you purchased a membership, regular newsletters were sent to you as a lodge member. All newsletters in mint condition are collectible, however the first 5 are worth the most. 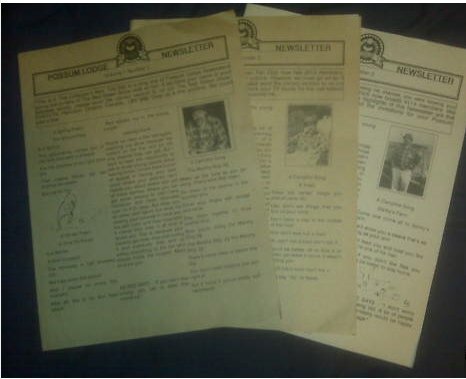 The first two newsletters were printed on unique, thicker, brown paper resembling a heavier recycled paper. The first newsletter makes note of there being approximately 500 members of Possum Lodge which is roughly believed to be the amount of newsletters made. The second clearly notes there being around 900 to 1000 members, making both of these rare and collectible. From the third newsletter on, the letter itself was printed on standard white printer paper and the amount released grows in accordance with the ballooning membership numbers, making it less valuable. Red Green Bumper Sticker - These were made in a short run in the mid 1990's and were both quickly sold out and given away as PBS drive promotional items. They are incredibly hard to find now in general, much less mint condition and are pretty valuable. Used, they are worth much less if anything for obvious reasons. For sale at the RGS online page for $3 in 1997. Red Green "I'm fix'n coffee" Mug - This is another early RGS item which has been long out of production. This was also produced on a short run and quickly sold out. It is incredibly hard to find in any condition. 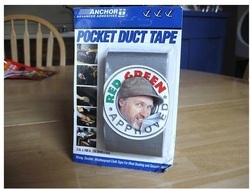 Red Green Cassette - Yes that's right, Red Green made a cassette tape. This is an incredibly rare and hard to find item which was only produced on a short run. Finding these in any condition is a real steal as they are one of the hardest to come by and least known about RGS collectibles. Even used condition, these are fairly valuable due to the low numbers. 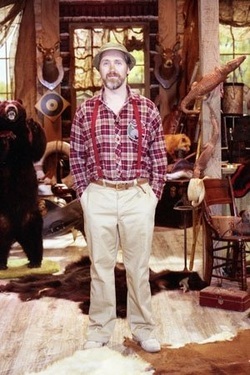 The cassette can be identified with a picture of Red in front of his work bench which is the same picture (autographed) also sold in the early years of the show. 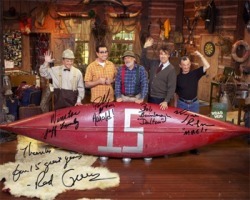 First Red Green Photo - This is one of the first autographed Red Green photos put out to the general public. It is unknown exactly how many copies were made and autographed, but being distributed in the early to mid 1990's it is believed that the number was fairly small. Because of this and it being the first autographed RGS photo. it's value is a little higher than other autographed photos. It is also the same picture used on the rare RGS cassette. Red Green Mouse pad - This is another little known about and hard to find item. This was created on a very short production run and little is known about its distribution. It is believed that it was mostly a promotional item given to staff and employees of S&S Productions, as well as guests and with contests. Nonetheless, it is very valuable for its rarity and worth picking up if you can actually locate one. 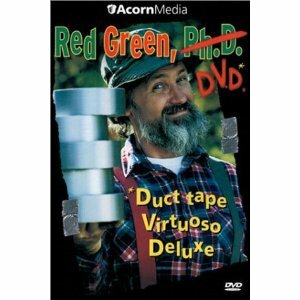 Red Green Duct Tape - Red Green Duct tape has been popular ever since 3M made Red Green its official Ambassador around the turn of the century. 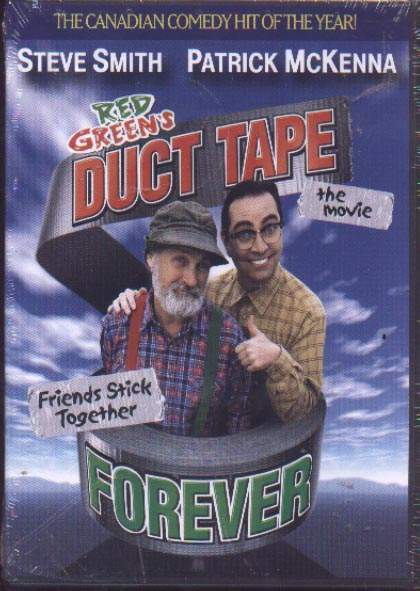 Since then,you occasionally come across some.Red Green duct tape usually comes in pocket form, however a bigger roll platform was also sold in smaller numbers. These were for sale in many places from hardware to grocery stores and everywhere in between. They were also sold on 3M's website as well as www.redgreen.com. A form of these were also sold by the Anchor Tape Company, in addition to 3M. Possum Lodge Vest - Reproduction - For the majority of fans, the closest we will ever get to having the real thing is a clever reproduction. These are hard to find due to limited numbers but periodically come up in random places, as well as on ebay. When chatting about it briefly with Steve Smith he mentioned that "there aren't many of those out there anymore". I have included a couple of shots of my own reproduction vest. The vest was made by a company called Woodfield and has "The Red Green Show" stitched into the right breast pocket. This logo was typical of the show between season 8 and 15 which puts this vest at the late 1990's to mid 2000's. Vests were sold off the RGS shop website for a short period during this time frame which is where this would have been originally purchased. From looking at the later seasons, this vest is incredibly similar to those used on the show and it is unconfirmed that Woodfield was the unofficial supplier of vests on the show. And interesting fact is that the previous owner had found this in a thrift shop in the US mid west, showing that RGS finds can happen anywhere. General shot of the vest with the lodge crest. 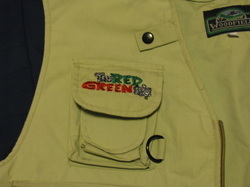 Closeup of the breast pocket where "The Red Green Show" is stitched. Red Green Calendar - That's right, Red Green made a calendar. This one surprised even myself as it was something that I did not see in my travels looking for RGS collectables and merchandise. I can confirm that there was at least a 1999 version of the calendar but have no knowledge of any other years these were produced right now. Thanks to Robert Maitland for providing me these images. ​Red Green Show Hedbanz - The Red Green Show Hedbanz was released in 2004 as an adaptation of the popular Hedbanz game. From what I can tell, these were sold into the mid 2000’s and likely not in any great amount. While I don’t have exact sales numbers, I have not seen many online for sale on eBay or other collectibles sites. The 1st edition of this book was first released in 1994 and stopped in 1997. The second edition of this book started in the early 2000's and is still being produced today. It can be found in many book stores like Chapters.ca and Amazon.com as well as Ebay. The second edition of the book has a retail value of approximately $14. The much more rare first edition is a little more valuable in mint condition, at around $25. 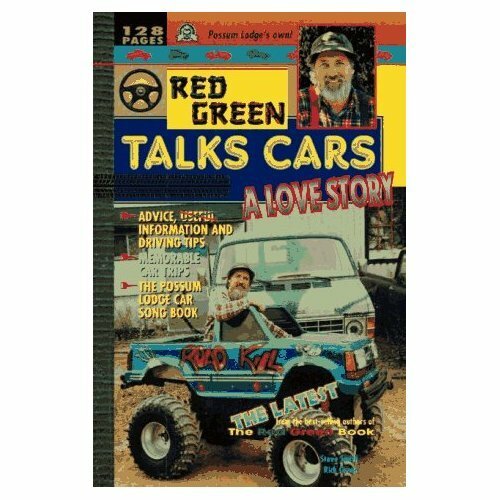 Red Green Talks Cars-A Love Story is the second RGS book to be produced and was sold for $14 back in 1997. It is unique in that it includes a free upgrade to The Red Green Show book in the lower half of the last page. 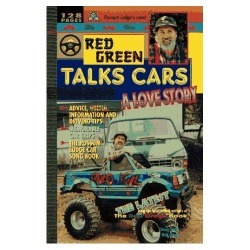 Despite it's heavy promotion in the mid 1990's, the book had only one production run in the mid 1990's and is generally less available as The Red Green Book. Despite this copies in decent shape are readily available on Amazon.com and Ebay. Because of this, the price for a mint condition copy is around $25-30. 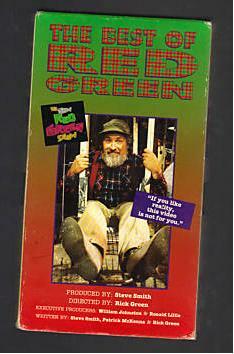 The Best of Red Green - The Best of Red Green is the first RGS video which was produced. From its first production run in the mid 1990's, it originally was offered only in VHS format. But then offered as a DVD in the late 1990's and early 2000's. Like the Red Green Book, This also was released in two different formats, by first and second production run. First production run copies are strictly in VHS format and are somewhat rare and hard to find.The value of a mint condition copy would be about $20-25. A 2nd run copy was produced with VHS and DVD and would be between $10 and 15 as it is significantly easier to find and still being produced. Duct Tape Virtuoso Deluxe - This is one of the most common RGS videos as it was widely distributed throughout the 1990's and into the 2000's on DVD (VHS too). Duct Tape Is Not Enough - This is the first and only RGS movie made. It was released to theaters in 2002 and was a success on a limited theater schedule (The Boondock Saints: All Saints Day also did this successfully in late 2009). It was full of cameos from former RGS alumni to famous veteran Canadian actors like Dave Broadfoot (Played a character from his stand up routine RCMP Sgt.Renfrew) and the last official appearance of the original members of the Royal Canadian Air Farce before the retirement and death shortly after of John Morgan. Since it was released, it has been released primarily on DVD, with a small run on VHS. Because of its cult popularity among RGS faithful and wide distribution on DVD, it is not valuable in a rare collectible sense. However it remains a must have for any true RGS fan's collection. The VHS copies are rarer and go anywhere from $3-5 more than those with DVD. We Can't Help it We're Men - This video was a a fun video talking about issues relating to men.Sold online at the RGS site for $20 back in 1997 in VHS format. First Crew Autographed Photo - It seems fitting to have the first autographed picture in the collectibles section to be the first crew picture produced.This was made in the mid 1990's and depicted Bill, Red and Harold, with autographs, from the "New Red Green Show" years. It is unknown how many of these were created, but being the first crew photo, it is more valuable than all of the other photos produced. 15 Year Anniversary Cast Photo - This photo is a great commemorative photo of RGS' 15 year run. It has the entire cast and is autographed by all. It is still available from RGS website as well as other websites and has been widely distributed. Despite this, being the 15 year commemorative autographed photo it is a soon to be collectible, especially with the death of Wayne Robson. Grab one while you can! 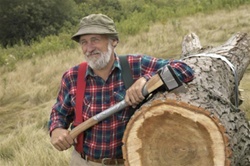 Red Green Picture - This is a popular and widely released picture of Red from season 6. It is easily accessible and widely distributed. Red Green Picture 2 - This is the second autographed Red Green picture available with Red lounging on the 57 Pontiac couch (more about the couch in the tidbits section). Like the other Red Green picture, it has been widely distributed and is widely available. Red Green Show Website Merchandise - The Red Green Outfitters Catalogue ON-LINE! Since the Red Green shop hasn't been around forever, they had to sell merchandise somewhere. That somewhere was the "The Red Green Outfitters Catalogue ON-LINE!" as descibled back in the mid 1990's on the RGS website. I've included a few gems with the prices from those years. Zipper Pulls - These came available on the RGS website back in early 1997 and were listed at 2 pulls for &5 CDN. Very hard to find now - I've personally never seen one in the last 10 years of watching the net. If you have seen them or have some, please, please, please let me know! Official Possum Lodge Suspenders - These fun items are a staple of every RGS fan over the years. The classic red and green suspenders are iconic and still a popular seller today. Back in 1997 they were being sold for $20. The Holy Grail of RGS collectibles encompasses a select few and extremely rare items which are unique, almost impossible to find and priceless. Some of these are listed below. That said, I am going to do my best to highlight those one of a kind items and price them to what perceived market rates would be. Possum Lodge Vest (Used on the Show) - There are many RGS collectibles, but nothing is more unique and special than having a vest used on RGS. 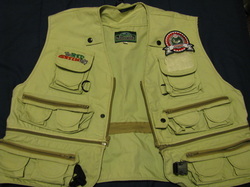 It's no secret that the majority of the vests used on the show were brought in and worn by selected members of the studio audience at the lodge meeting on the conclusion of each show.This is outside of Bill, Red and Harold's vests which are believed to have been given to them on the conclusion of the series and any other cast members which had vests provided to them. However, there are a small number of vests that were used as show props in each of the 15 years. An example would be Season 2's lodge meetings where each visible member would wear vests with the lodge crest on the top left side. After Season 2 this tradition continued, however with less regular members. Season 2 is unique as each lodge member wore the same style and colour of vest and is distinguishable by the darker tan colour and basic pocket setup which changes in season 3 and in some cases differs by cast member between season 4 and 7. After season 4 the meetings were primarily filled with members of the audience and the select few characters that appeared on the particular show. These vests still exist and are incredibly difficult to obtain. Beware of fakes and ensure that you either buy from a very reputable source or have documentation to back up the authenticity. Here is a picture which is the crown jewel of my RGS collection. This vest was used during the early seasons of the show (seasons 1-4) as a spare prop and was given to me by someone who had longtime involvement in the show (I want to thank them again for their kindness!). The size is a men's small/medium which would limit the lodge members who could wear it. Unfortunately the tags have long been worn off as well which does not allow me to identify a manufacturer. A good identifying factor is the brown back to the vest which is consistent with the vests used in seasons 2, 3 and 4 (outside of Red's vest which had a semi clear brown backing like mesh and season 5-15 had tan backs for all cast members). The pocket layout on my vest is consistent throughout the series after season 2 which had a more basic pocket layout. The colouring is generally the same post season 2 as season 2 had a slightly darker tan hue to the vest. The pocket layout was particularly very basic and there was no white cotton for flies. The only unusual item to consider is that vests tended to change and differ with some on screen cast members and guests during lodge meetings after season 4 and before season 8/9. This leads me to conclude that this vest was likely manufactured by Woodfield and further proves my theory that this company was the unofficial supplier of the series (check out my reproduction vest above from the later seasons to compare both pockets and zipper placement). 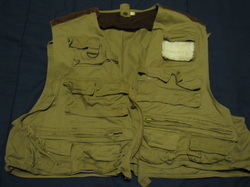 My vest that was used on the show in the early seasons. 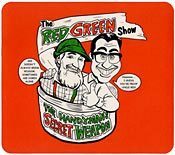 Red Green Show Crest (Season 1) - Despite it being one of my favourite show memorabilia, this is an item that is rarely seen or talked about. But if you watch season 1, you'll notice the Red Green Show crest. 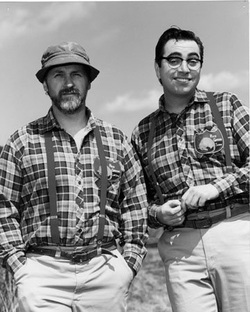 Both Harold and Red wear the crest on their left shirt pockets during Season 1 (and certain "leftover" segments within season 2) and are the only cast members to do so. The crest is similar to a "shield" style badge and is red on one side with green on the other. In the middle is a picture of a possum and on the right side of the crest is "The Red Green Show". Not much is really known about these crests, however it is believed only a handful were created as props for the show. After the first season it was dropped from the show which only enhances its rarity. I have a belief that this was dropped to avoid confusion with the Possum Lodge Crest which debuted during the second season for the lodge meetings. It is my opinion that both Steve Smith and Patrick McKenna have one each, however it is unknown if any more exist outside of this, let alone at all. Pricing would probably be $200+ (which may even be low) simply because they are so rare and likely had a tiny production run exclusively used for filming. Red in season 1. You'll notice the crest in colour, partially covered by suspenders. In this black and white picture you can see the crest more clearly. RGS Set - One of the most coveted additions to any RGS collection would be a part of the RGS set. Whether it is something as complex as a wall from the lodge or as simple as one of the many items littering it, nothing is more unique and special as owning a piece of the shows' sets. For the most part, the bulk of the set and artifacts from it reside in Hamilton, Ontario at Mr. Used. These are not for sale (I know from experience!). The sets include Red's den where he ties lines at his desk, The basement of the lodge and one of the hallways which has been used from day one of the series (and with S&S as well.). However there are several other sets and items from them which have disappeared since the shows ending in 2005. Its very hard to put a price on anything due to the varying levels of importance and prominence, however I would estimate that it could start at anywhere from $50+ for a smaller item to $5000 for an actual wall/set background. UPDATE: On Sunday, September 14th, 2014 at noon at Mr. Used in Hamilton, the Red Green sets as seen above were auctioned off. As noted the previous week in the Hamilton Spector, Steve Smith took a bunch of items from the sets in order to create a new set for his one man show. Congrats to all who were able to get a piece of the show for their own home! The Possum Van - While it may be next to impossible to own one of the actual Possum Vans used on the show, since there has reportedly only been 3 used and they were alleged to have been cut up and destroyed at the conclusion of the series (See my Vehicles of Possum Lodge page), it may not mean you are out of luck. Given that if you can find an 80's Dodge Ram Van (it will probably be fairly inexpensive), you can always go to the trouble of making your own replica. Replica vans have occasionally popped up at car shows and internet websites and give you the feel of living like Red without having the real Possum Van and the problems it most likely has. 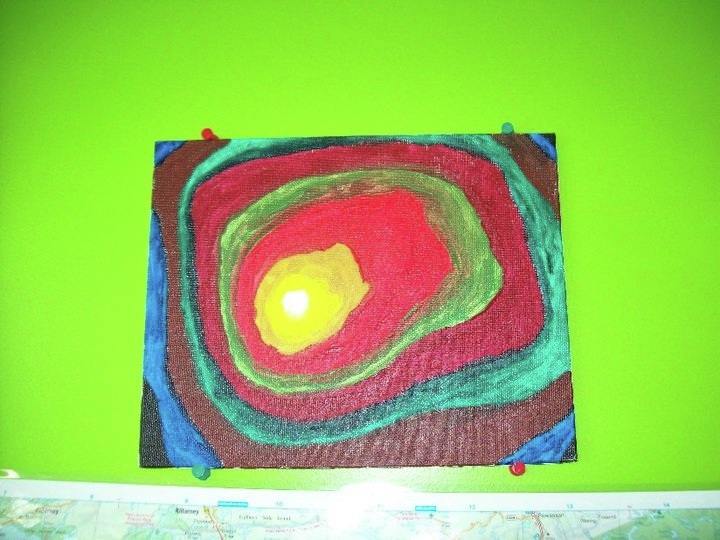 Red Green Painting - In 2010, Red Green (Steve Smith) put together a personally made painting for charity. 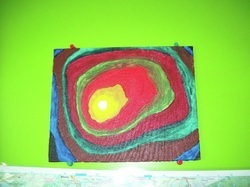 This painting was put up for public auction on ebay Canada and sold for $300. It is an original and a complete one of a kind. Because it is so new and off auction I would put a starting price of $300 that will only increase through time. I would like to thank fellow lodge member Stan Pollard for allowing me to post this awesome painting and invite everyone to check out his fan page which is posted in the links section that also has more pictures (including close ups) of the painting.